Just noticed that the LTE UE Categories have been updated since I last posted here. 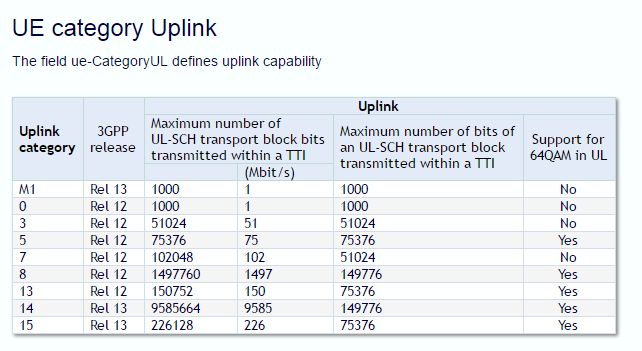 Since Release-12 onwards, we now have a possibility of separate Downlink (ue-CategoryDL) and Uplink (ue-CategoryUL) categories. 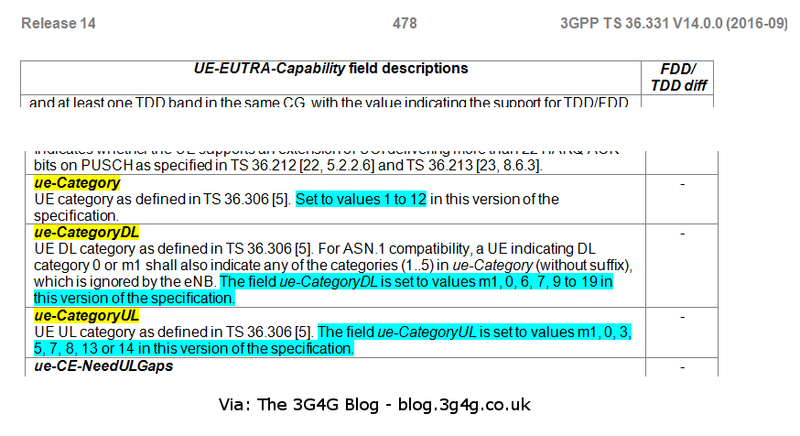 From the latest RRC specifications, we can see that now there are two new fields that can be present ue-CategoryDL and ue-CategoryUL. 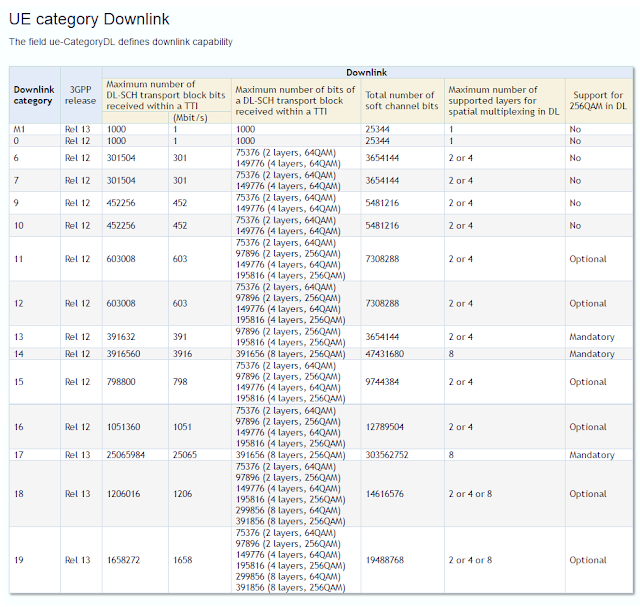 The field ue-CategoryDL is set to values m1, 0, 6, 7, 9 to 19 in this version of the specification. The field ue-CategoryUL is set to values m1, 0, 3, 5, 7, 8, 13 or 14 in this version of the specification. 3GPP TS 36.306 section 4 provides much more details on these UE categories and their values. I am adding these pictures from the LG space website.